Datacal's infantry control keyboard labels put common commands at your fingertips. 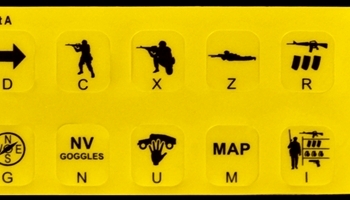 Made of durable Lexan polycarbonate and printed subsurface, our labels are currently used by the U.S Army for Virtual Battlestation training purposes. Proudly made in the U.S.A. Volume pricing available.